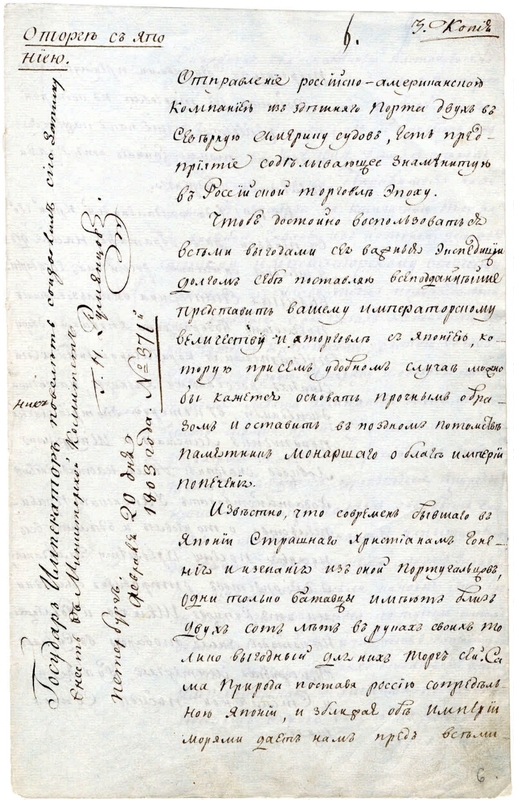 Home / Note by the Minister of Commerce N. P. Rumyantsev, presented to the Emperor Alexander I, "On Trade with Japan"
Note by the Minister of Commerce N. P. Rumyantsev, presented to the Emperor Alexander I, "On Trade with Japan"
Rumyantsev, Nikolai Petrovich (diplomat, philanthropist, 1754-1826). Signed. before the text: On the auction with Japan. 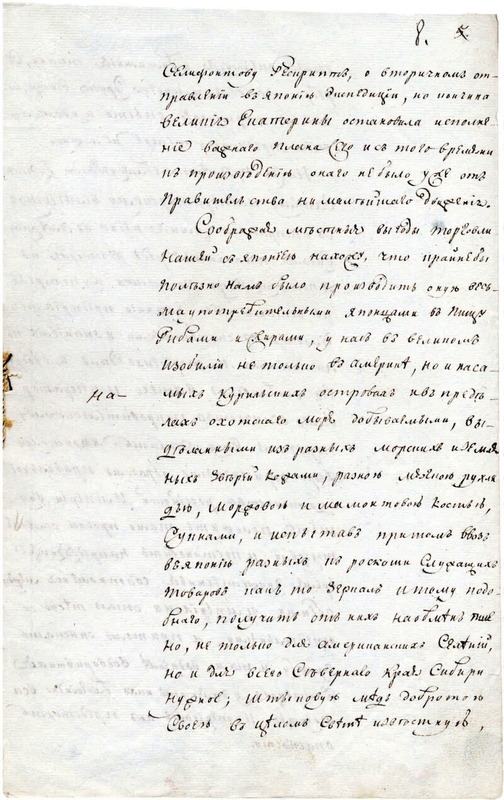 Written by hand, ink, text on both sides of the sheet. 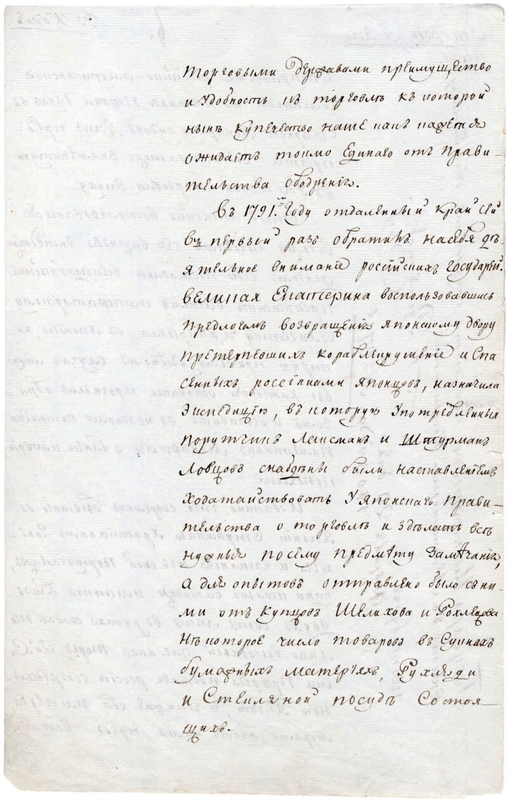 Ministry of Foreign Affairs of the Russian Federation, Foreign Policy Archive of the Russian Empire. http://www.mid.ru/ns-arch.nsf/iddobsh. 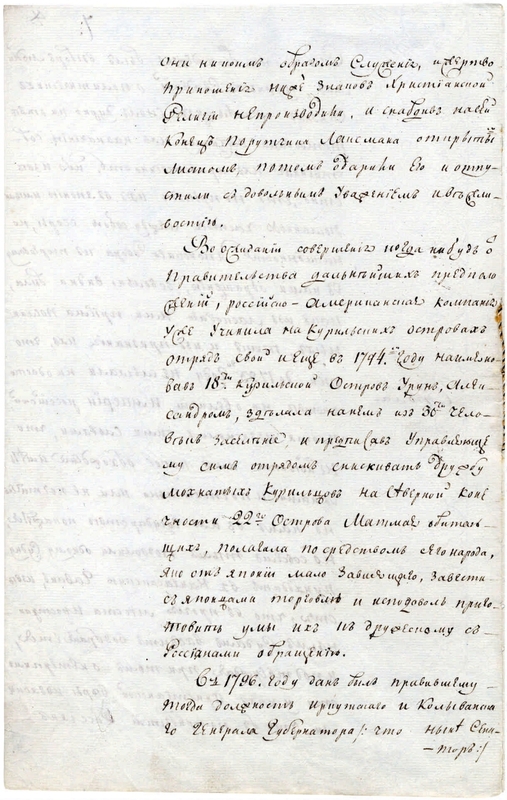 Document from the Foreign Policy Archive of the Russian Empire . I. Alexander I (Russian Emperor, 1777-1825). II. Russia. The Emperor (1801-1825, Alexander I). III. Russia. Ministry of Foreign Affairs. The State and St. Petersburg Main Archives. Russia and the countries of the world (collection). 2. The Russian state and economy (collection). 3. Russia - Foreign trade - Japan - 19 - beginning. 20 centuries. - Documents and materials. 4. Japan - Foreign trade - Russia - 19 - beginning. 20 centuries. - Documents and materials. Location on the original: АВП РИ Ф. СПб. GA, I-7 Op. 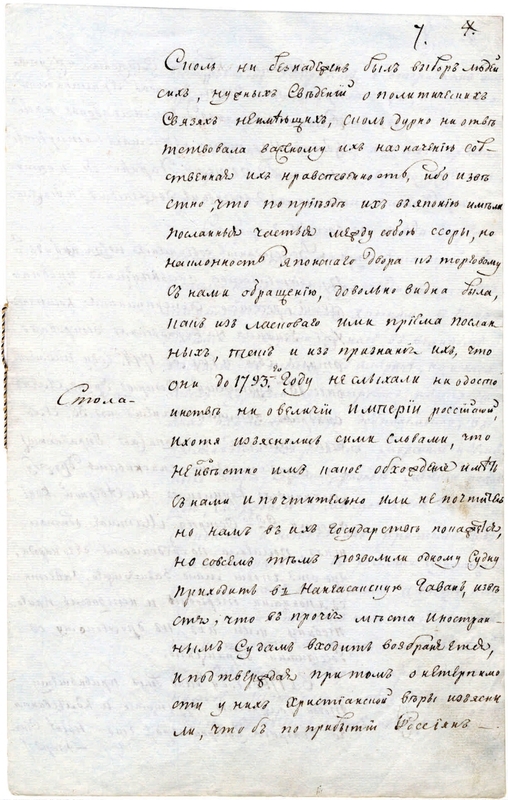 6, 1802, D. 1, item 2, p. 6-9ob.